€100.00 Cash back when you arrange to view any of our Properties. We advertise our properties across 20 countries and Mutiple languages on leading property portals. 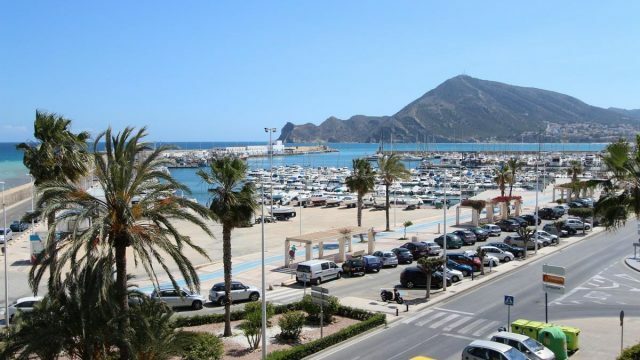 Property for Sale Costa Blanca are your leading One-stop property finders, we have a large portfolio of properties for sale on the Costa Blanca. Choose from Apartments for sale or long-term rent to luxury new build Villas. Search for property for sale and rent in Calpe. Hola Properties can provide you with a one-stop property shop under one roof to find your perfect home in the sun. Can’t find what you are looking for? tell us your requirments and we shall send you properties that match your criteria on the Costa Blanca. We can guide you through the whole process from day one. Contact us with today with the properties you are intrested in and will will send you the options by return. Hola Properties will give each client individual attention and advice to living in Calpe and arrange all viewing appointments. A large portfollio of properties for you to search through in Calpe and neighbouring urbanizations. Legal advice from English & Multilingual speaking Solicitors. (Ensuring all relevant paper work for purchasing property has been sourced). Property Maintenance and re-modelling companies to make your new hone your own. (Quotes can be obtained before you Purchase).